This optical test tower is a vibration isolated, vertically oriented, optical bench located inside the polishing lab of the University of Arizona’s Steward Observatory Mirror Laboratory (SOML). 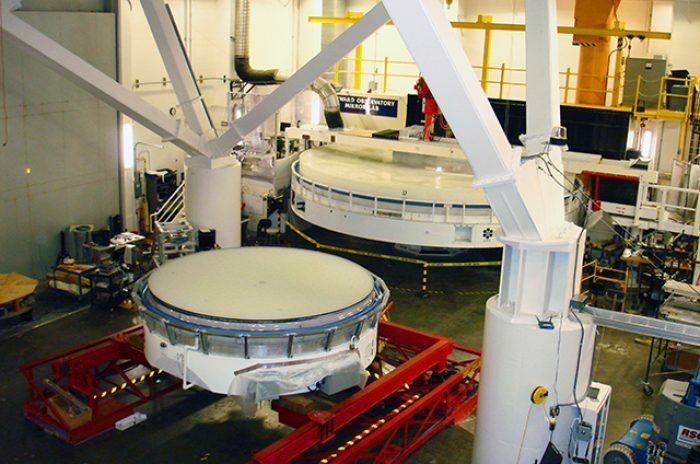 The project consisted of removing the existing 75-foot tall tower structure and replacing it with a 97-foot tall steel framework suitable for testing the 8.4 meter Giant Magellan Telescope (GMT) primary mirrors. The original foundation, airbags, free-floating concrete base and concrete piers all remained intact. The interior and exterior of the tower enclosure known as the “thimble” also required modification. The interior volume was increased to accommodate the required tower frame size and access to the top of the structure. 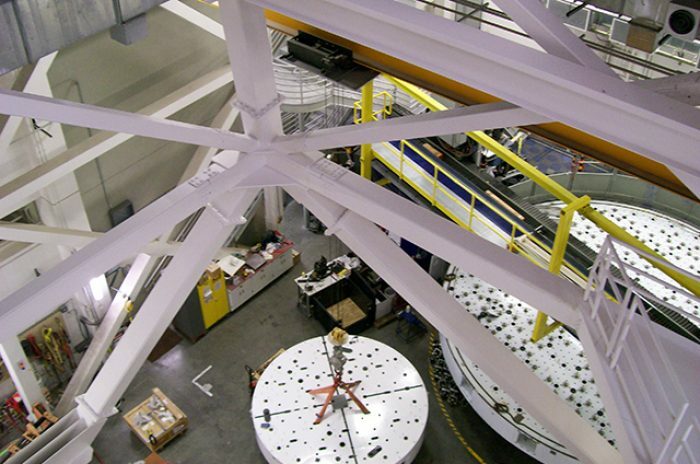 M3 provided a structural and natural frequency analysis of a steel-frame optical test tower for SOML. The tower is a braced frame structure consisting primarily of square rectangular tube steel members. There are four stationary platforms for test equipment and three hanging “baskets” for instruments capable of moving in both horizontal directions. 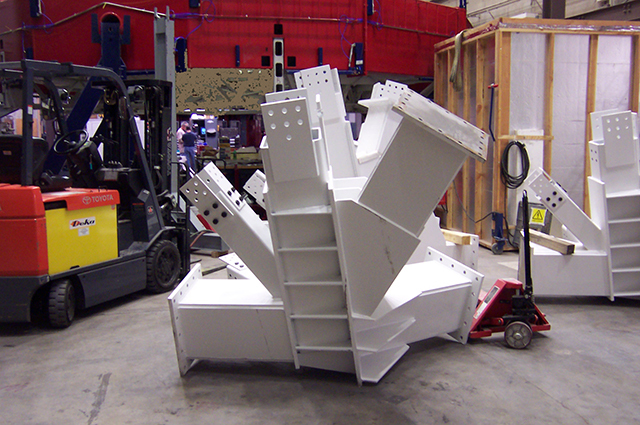 The baskets each have a payload capacity of 8,000 pounds. 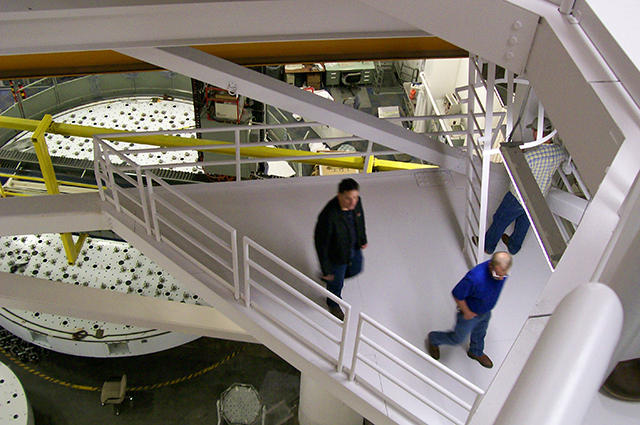 At the top of the tower a 12,000-pound mirror cell is supported and transmits a light path envelope to a mirror at the base. 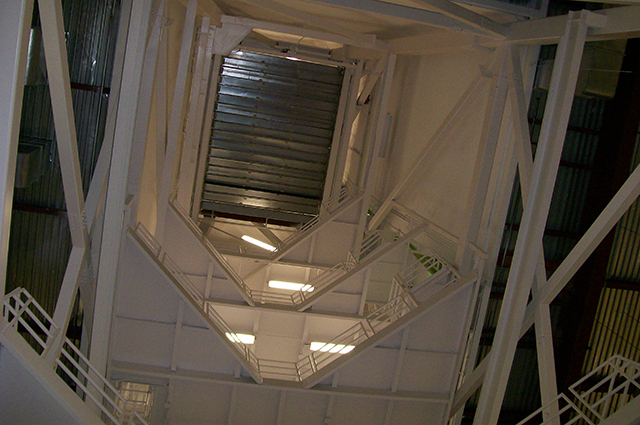 A retractable floor is required above the fourth level and used to access the laser tracker plus a hoist system. The success of this project is attributed to a team effort of SOML, The University of Arizona, the contractors, and M3 all working together on this very unique structure built inside the polishing lab that remained operational during construction. M3’s BIM steel fabrication drawings using Tekla Structures allowed fabrication, erection and fit up to the existing columns without any problems.